The Alkè green mini trucks are built for work. 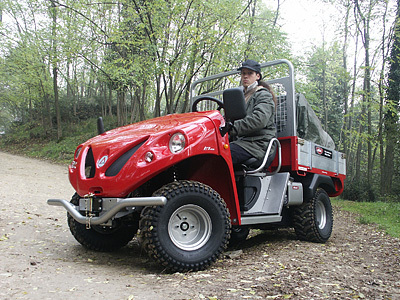 They are type-approved for road circulation at European level and they are also indicated for off-road. They are the most indicated for very heavy and off-the-road work conditions, even in the presence of steep slopes (up to 35%). 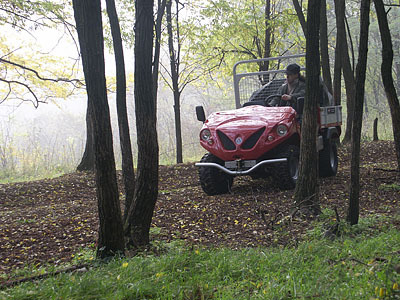 The presence of the engine brake is essential on mountainous routes. Vehicles that also have 4-wheel drive but with standard speed variators are not able to guarantee minimum safety requisites in these situations. Any expert user in fact knows that with steep slopes that it is the descent and not the ascent that is the time that the stability of the vehicle is really put to the test along with the wear and consequent holding of the brakes. All Alke' green mini trucks have an automatic insertion engine brake system which makes use of a dry bi-disc clutch. 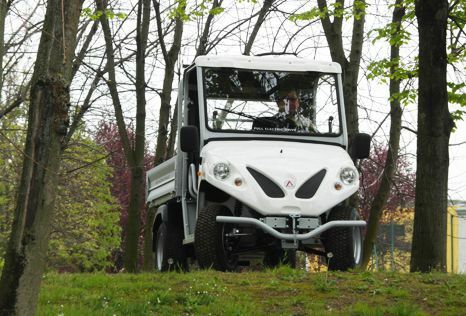 This guarantees maximum control of the vehicle, high safety standards and perfect manoeuvrability even on uneven land. These vehicles fit independent Mac Pherson front suspension off-road vensions and De-Dion axle with a stabilizer bar at the rear that guarantees permanent grip of all wheels, even on rough ground, avoiding possible skidding or loss of control. 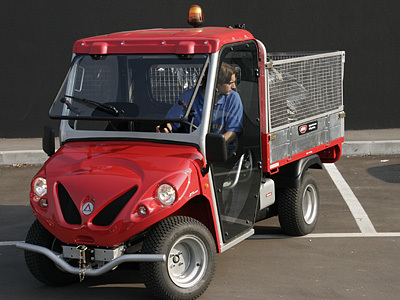 Other standard assets are: dual circuit hydraulic brakes, parking brake, front and rear double tongue tow bars, differential guard, headlight, tail lights, safety strobe light, stop and hazard lights, horn, 12 V on-board plug, loading bed with aluminum drop sides and steel full-height cargo barrier with roll bar function. 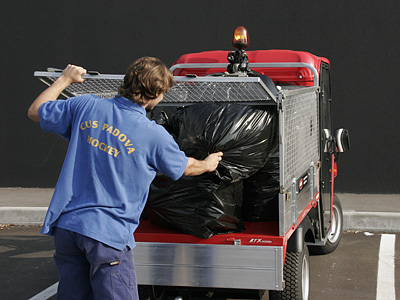 The two versions of Alke mini trucks are different on loading bed dimensions and wheel base value. The rear cargo bed is 1300 mm longer or 1800 mm. Finishes of Alke mini trucks are cared for in every detail. The modern dashboard laid out like that of a car allows the user to keep all the vehicle tools and commands under control at all times. 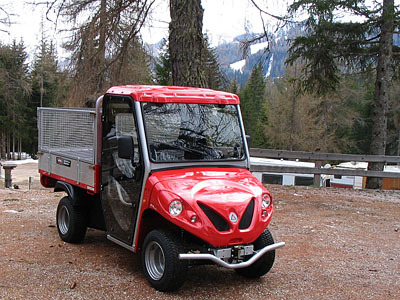 For difficult environmental and climatic conditions, a cab or half-cab may be fitted, with the possibility of an internal heating system. Wide is the list of accessories and options for these diesel models. Download our catalogs to get all ATX technical specification. Don't hesitate to contact us for any additional detail or for a quotation.